Insurance Agency in Baxley GA | Rentz & Rentz Insurance Inc.
Rentz & Rentz Insurance, Inc. is your trusted, local insurance agency in Georgia. You check on me personally . You don't have someone I don't know call me on your behalf. Your available to your customer even when the time is not convenient for you. My water leak was when your mother was in her last days and you texted me during the storm. 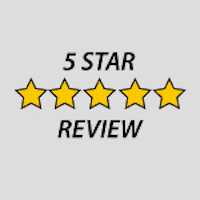 We have always received excellent service with RENTZ AND RENTZ. They have been very helpful to us this year because we have had 3 claims at our residence. They were very prompt in getting us the help we needed to fix the problems. We could not have had better service anywhere.. Thanks RENTZ AND RENTZ. It has always been a pleasure working with Paul Rentz with Rentz and Rentz Insurance, Inc. in my capacity as City Manager of the City of Baxley. What impresses me most about Paul and his staff is the service. Their response time to whatever the need is is amazing. Whether we are or not, we are treated like their most important customer! Paul and his wife went above and beyond all that we could ever have expected during our loss of our home due to fire . They were determined to see that our needs were met according to our policy. And it for this reason I will whole heartily recommend their insurance agency. Thanks for all you did.